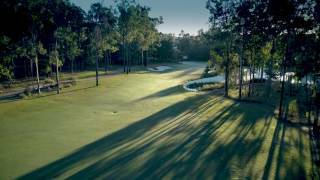 Weave your way through two nine-hole loops and immerse yourself in the gorgeous natural surrounds of the Brookwater Golf Course. Featuring undulating greens, natural water features, and long, narrow fairways, the course’s strategic design makes it the perfect environment for golfers of any skill to enjoy a day of premium golf. Masterfully designed by Greg Norman, the award-winning public access golf course offers a golfing experience you won't easily forget. Before or after your round, enjoy a delicious breakfast or long lunch in their architecturally designed clubhouse. With beautiful views over the eighteenth hole and natural bush land, you won't want to leave in a hurry!